In the early part of the twentieth century, Empire Day was celebrated on the 24 May, Queen Victoria’s birthday. It was a day for shows of patriotism throughout the community, especially in schools. The celebrations often included fireworks, so many children thought of it as ‘cracker night’. 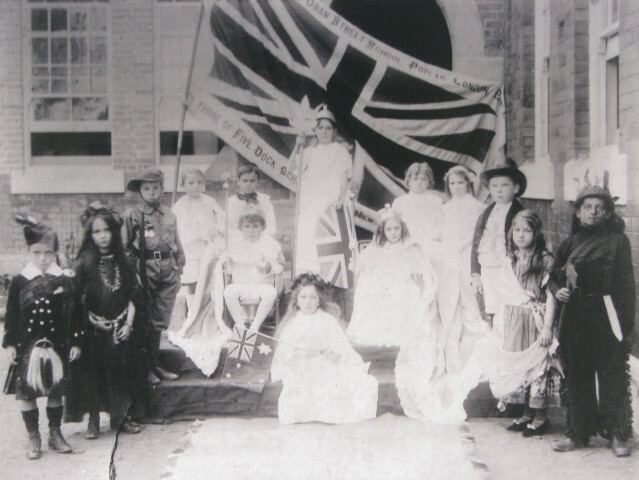 The photograph shows Empire Day Celebrations at Five Dock Public School in 1912. The flag also bears the name of Oban Street School, Poplar, London which may have been a sister school of Five Dock. The boy dressed in Scottish costume on the left is John Baker while the page boy behind the ‘King’ is Harold Hughes. In 1958 Empire Day was renamed Commonwealth Day and today is celebrated on the second Monday in March. 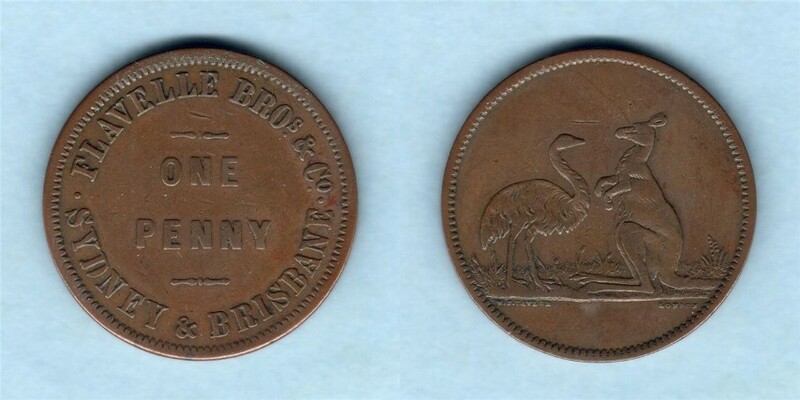 In Colonial Australia there was often a shortage of coins so many merchants resorted to producing tokens which could be used at their shops. A token of local interest is one produced by Flavelle Jewellers. John Flavelle who lived at Wellbank house, now the site of Concord Library, was the owner of the successful jewellery business. City of Canada Bay Museum holds one of the Flavelle tokens which is currently on show as part of a display of coins and stamps at the museum.